Eileen decides to surprise her daughter with a visit for Christmas in the country, but when she arrives things aren’t as perfect as expected. Luckily, Madea came along to straighten things out in her very own spiritual way. After experiencing the biggest disappointments with Tyler Perry’s latest movies Alex Cross(2012), Madea’s Witness Protection (2012) and Temptation: Confessions of a Marriage Counselor (2012), I wasn’t sure if I would like his newest creation. But luckily, the things I was missing in the previously mentioned movies, I actually got in A Madea Christmas: a cute storyline, a message, and most importantly for this season: heart. Of course we get plenty of stereotypes, so if you don’t like that kind of humor you should stay away from it. But Tyler Perry, and especially his movies with Madea, are known for stereotypes. In A Madea Christmas we get introduced to black, country and racist stereotypes, sometimes in an awkward way, but mostly funny and hysterical. I haven’t been to a movie theater in a while that has been filled with so much laughter. It doesn’t have a heavily religious undertone like his other movies have either, which I also appreciated. As always he introduces a few fresh faces like Tika Sumpter, Eric Lively and JR Lemon, but also includes a few well-known and established actors like Anna Maria Horsford, Alicia Witt or Kathy Najimy, who is, hands down, one of the funniest woman on this planet. The cast also includes sweet heartbreaker Chad Michael Murray, who is not playing such a sweet character in A Madea Christmas: He plays Tanner, an unfriendly and racist construction worker. 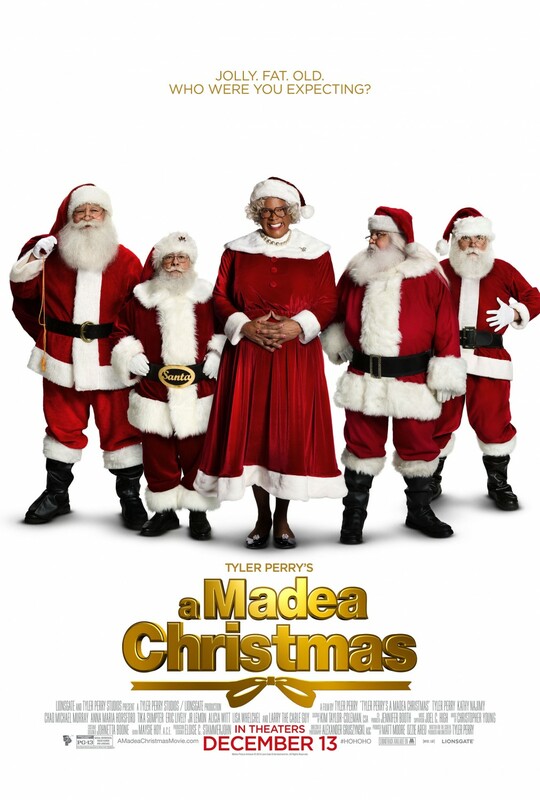 The one things that I am still missing in this movie is depth, and I think we haven’t got that since The Family That Preys, however, A Madea Christmas is the perfect movie, if you need plenty of good laughs for the holidays. But if you have little children, I would rather watch some classics, since it has a few sexual references that might not make sense to the little ones, and need explanations that could turn into an awkward moment. I enjoyed myself a lot and can definitely recommend it.